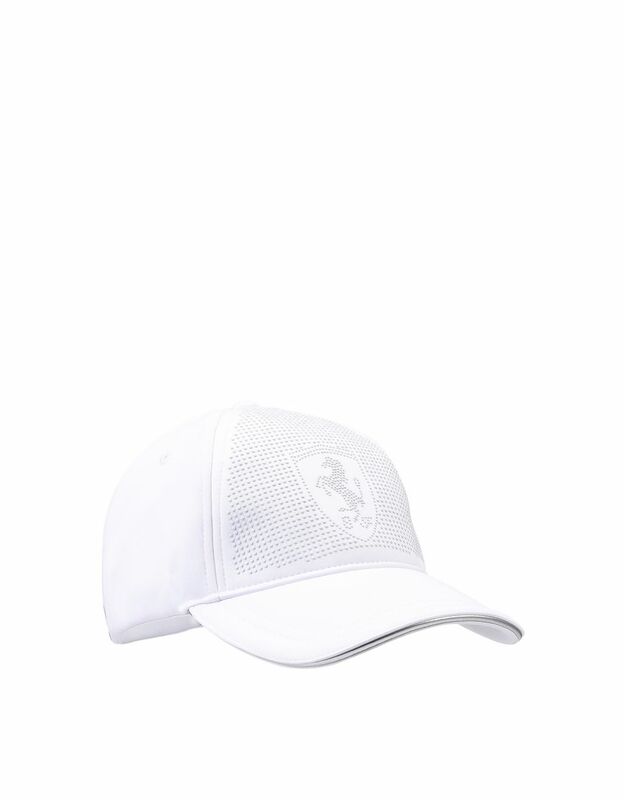 The design of this hat with visor is emphasized by the faux leather piping on the visor and the application of rhinestones all over the front. 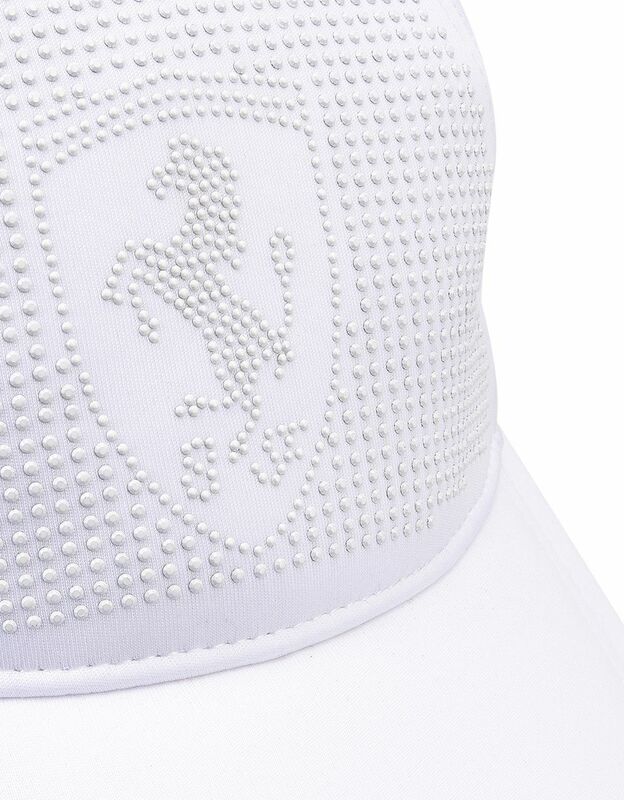 The iconic Ferrari Shield, here in rhinestones, appears in the middle of the visor. 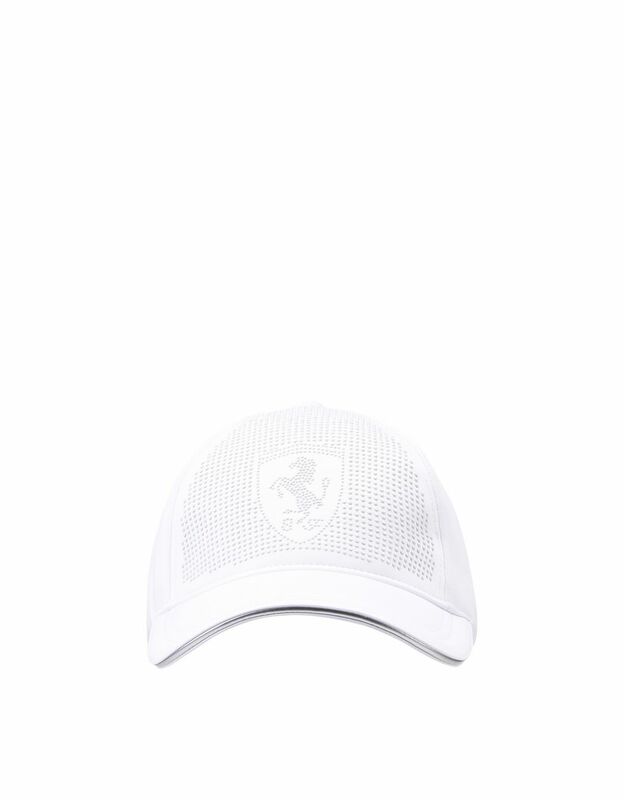 The Scuderia Ferrari cap also features a nickel-free metal buckle with a matte finish and a practical eyelet to adjust the size. 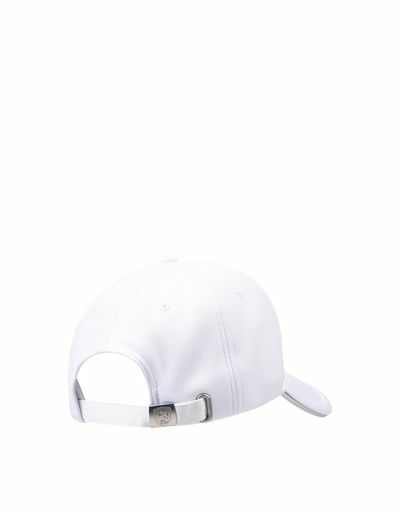 This women's neoprene cap is quite versatile and can be worn with casual and sporty outfits, as well as in the evening.